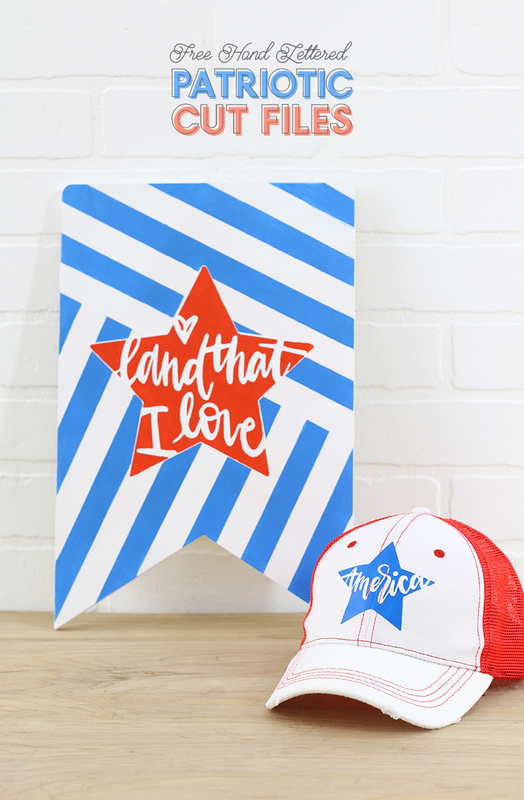 These free hand lettered patriotic cut files make it super easy to make your own projects this Fourth of July! Just cut the free SVG cut files from vinyl with your Silhouette or Cricut and apply them to really any surface. This post may contain affiliate links, which help to support this site. It is officially summer here, and that has me looking forward to the sunny days by the pool, warm nights, barbecues, and the Fourth of July! 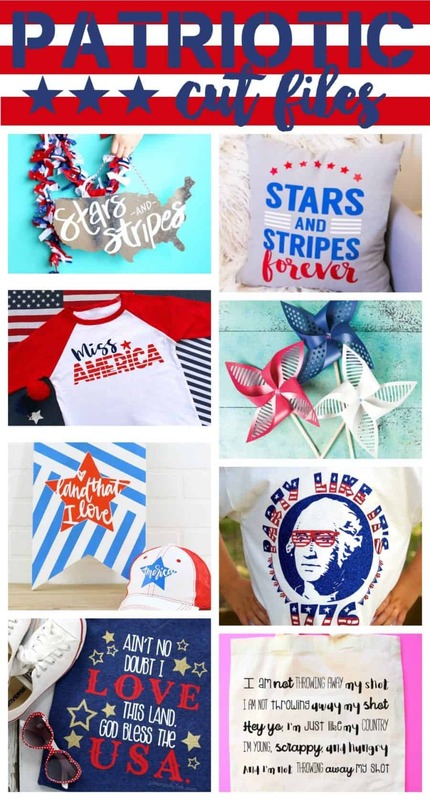 I just love the Fourth of July and love to make patriotic gear f0r me and the family to wear to celebrate. 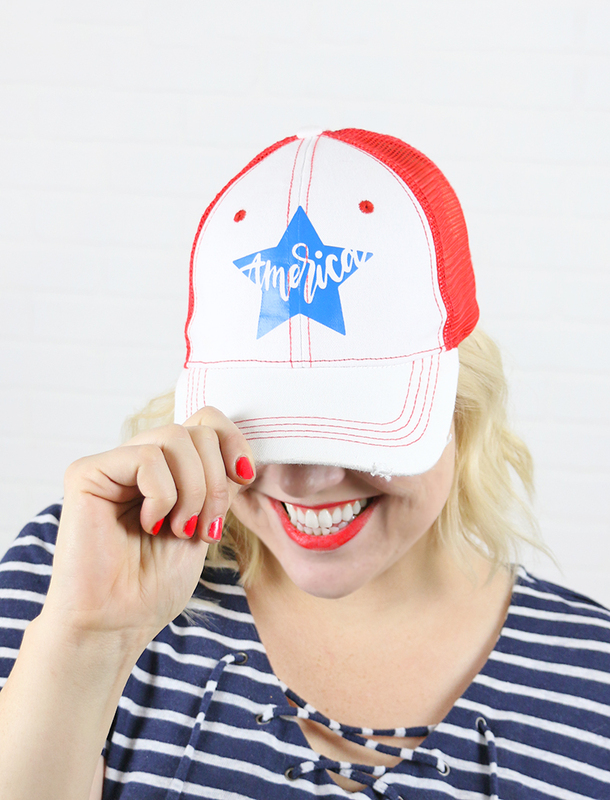 Today I’m joining with some of my creative design-y blogging friends to bring you all a bunch of cute and FREE patriotic cut files to make it super easy for you to make your own projects for the Fourth this year. I came up with two star shaped, hand lettered designs for you guys. One says “America” and the other says “Land that I Love.” You can use these files to cut vinyl decals using your Silhouette or other cutting machine and apply them to pretty much anything. 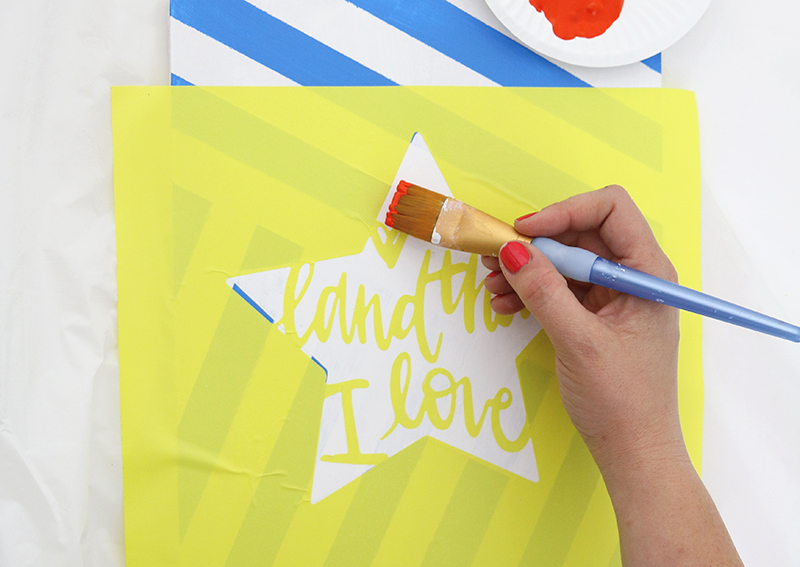 You can also use them to create stencils or print them out as printables – so many uses! I used the cut files to create a cute little baseball cap and a wooden sign for a bit of seasonal home decor to give you an idea of what you can make with these versatile designs. I will give you a quick overview of how I made both projects, but really you can use these designs for anything you can think of – mugs, tumblers, t-shirts, wall decals, etc. etc. etc. For the wooden sign, I started by painting a couple of base coats of white paint, then I used masking tape to create a striped background design. Then, I peeled up the tape and allowed the paint to dry completely. Next, I painted a white star background and allowed that to also dry completely. I cut the land that I love design out of removable vinyl and applied it to the wooden canvas using transfer tape. 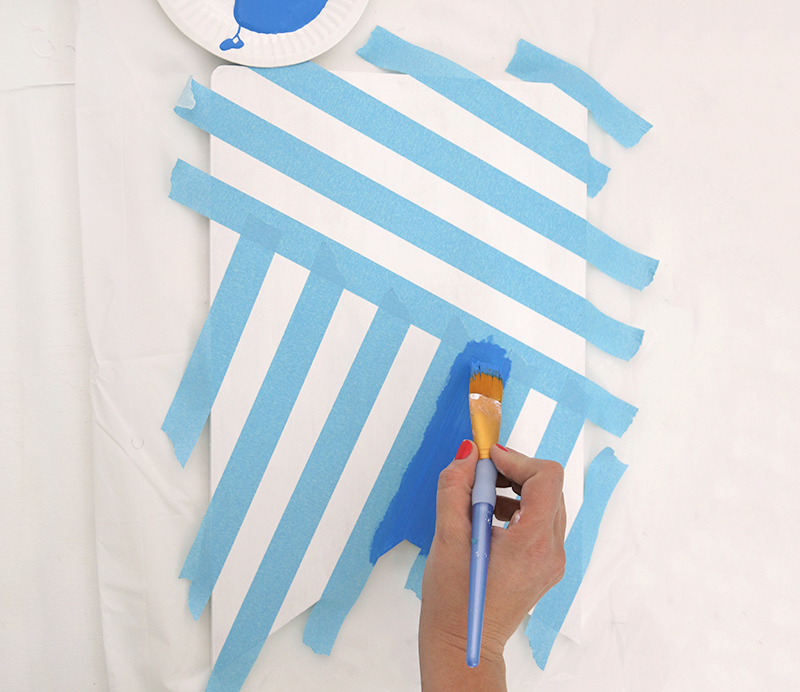 Here’s a tip for getting really clean lines when using vinyl stencils: do a very thin coat of matte decoupage over the edges of the stencil to seal it down. Finally, I painted over the stencil pulling the brush from the outside over the stencil edge rather than pushing the brush towards the stencil edge. 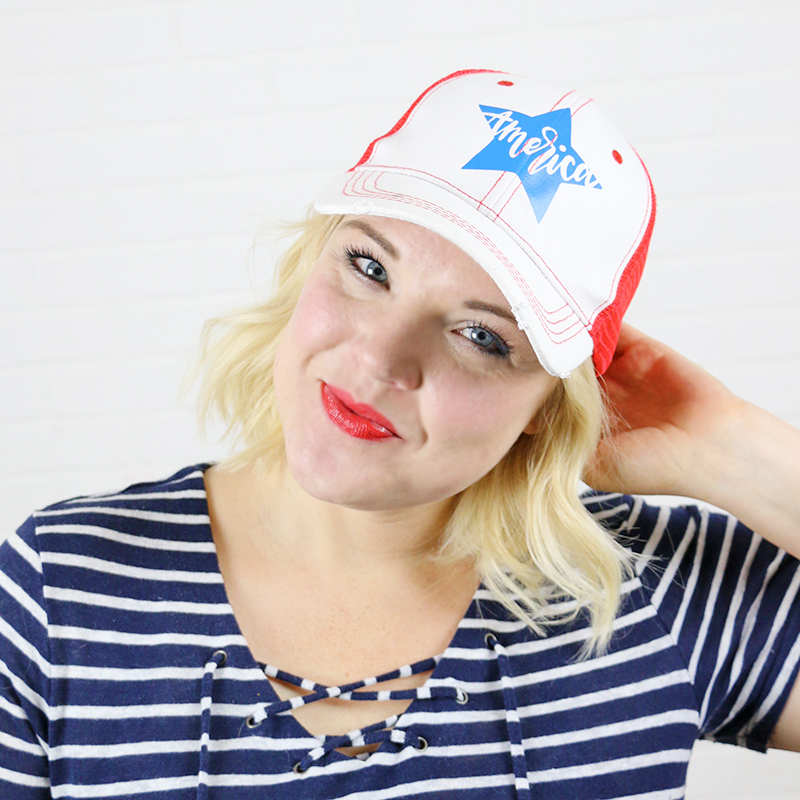 When I was walking the aisles of Hobby Lobby recently, I spotted these cute trucker hats and thought they would be really fun to customize for the Fourth. This hat was so simple to make! 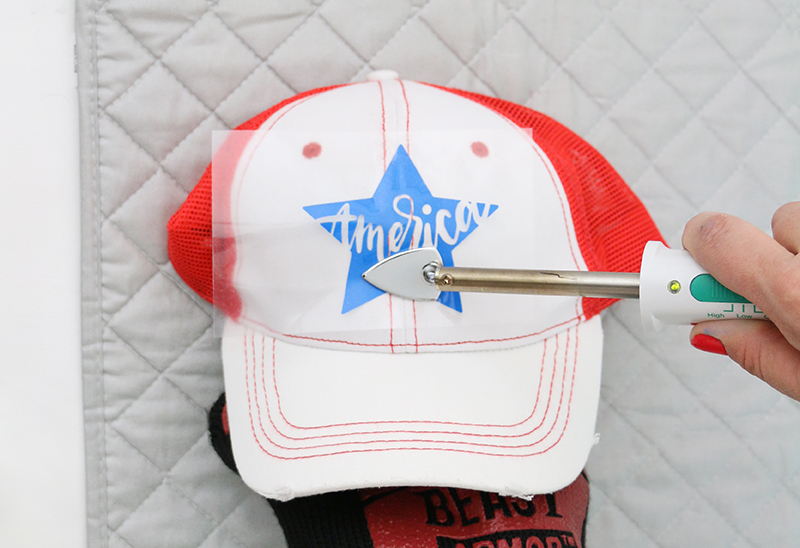 First, I cut the America design (don’t forget to mirror the design when working with heat transfer vinyl!) from Easyweed HTV in fluorescent blue. Then I weeded out the excess vinyl and placed the design on the front of the cap. 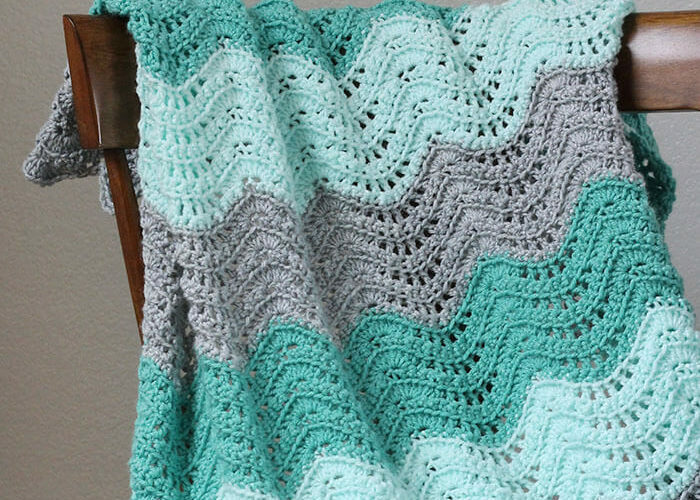 When using HTV on smaller or oddly shaped surfaces like this, I like to use my mini craft iron. When using the mini iron, be sure to be extra careful, the rod going out to the iron part gets very hot and will burn you. I like to wear a heat resistant glove to protect my other hand. It may take a bit longer to apply the HTV using the small iron. Just give it heat and pressure until you can see the texture of the cap’s fabric through the heat transfer vinyl. And that’s it for these little project ideas. If you are interested in learning more about working with vinyl, don’t miss my Vinyl 101 series right HERE. If you are just interested in these free patriotic cut files, you can grab them in all the different formats below. Please Note: These cut files are for personal use only. If you are interested in purchasing a commercial license, you can purchase one HERE. The download link below will take you to a ZIP file that contains SVG, PNG, and DXF files. You may need to unzip the file to access the cut files. Patriotic Pinwheels from Hey let’s make stuff. Party like it’s 1776 from The Scrap Shoppe. Happy Fourth of July and Happy Making! Thanks so much for the great files! 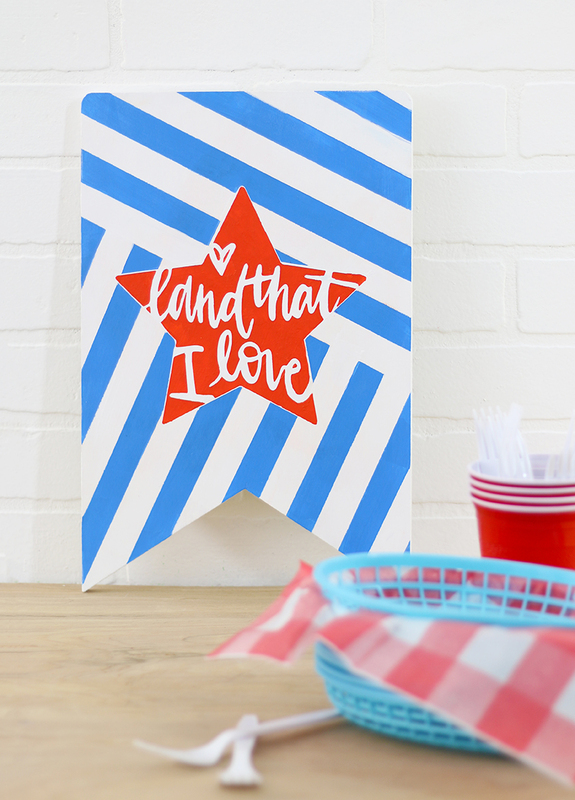 Ah, I’m loving these 4th of July crafty posts! That cap you made is stunning!! Absolutely in love with it, love that font!! The products from the link ups are brilliant too! Thanks for sharing and helping to get the 4th of July creative juices flowing.